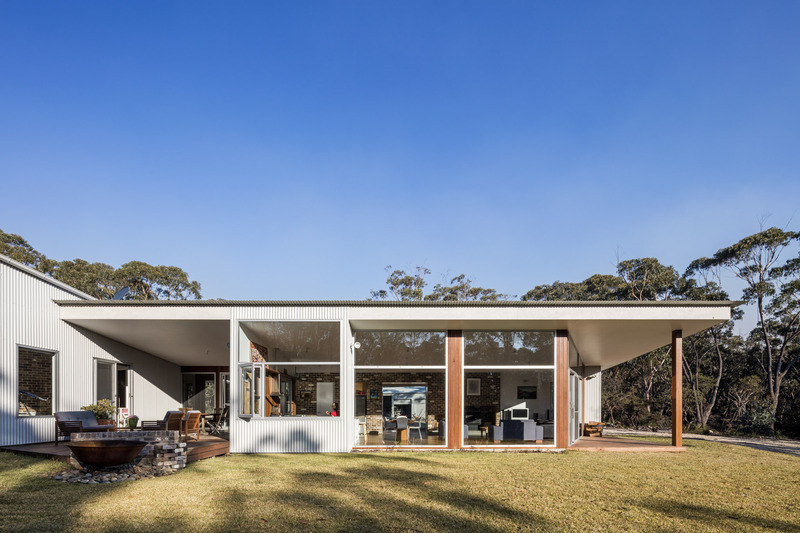 The house is located on a large bush land property. 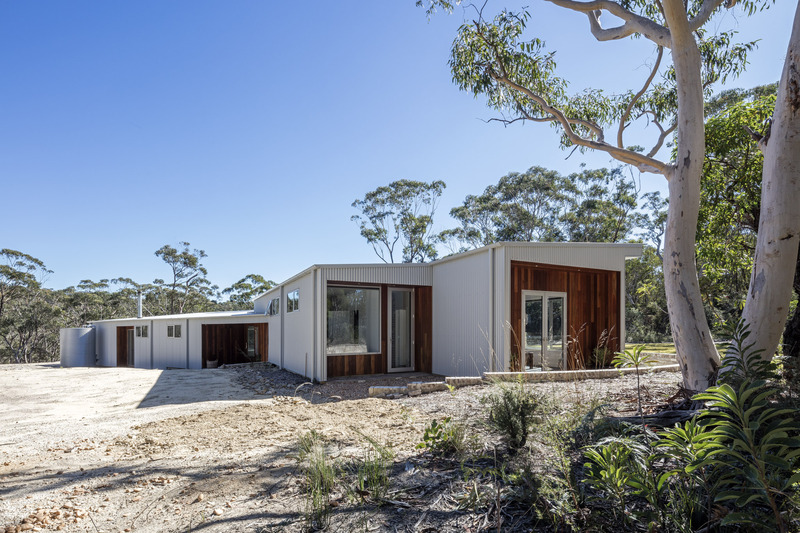 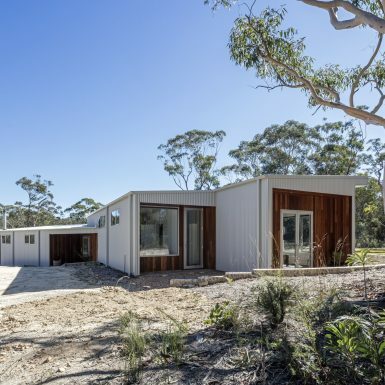 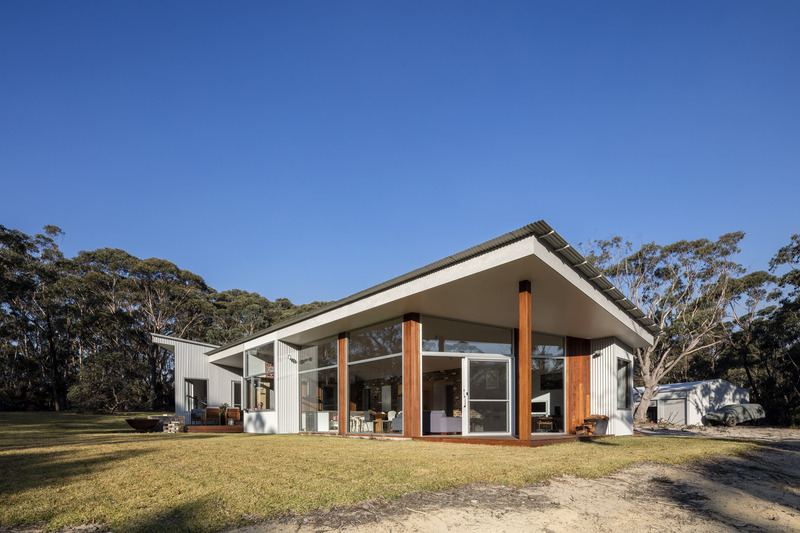 The design is driven by the balance of protection from the elements and connection to the landscape. 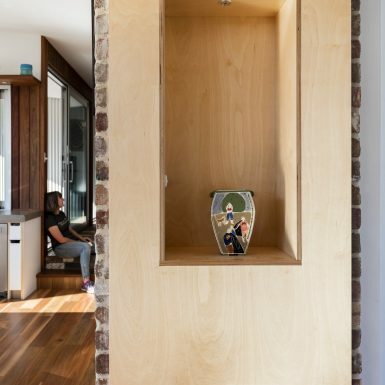 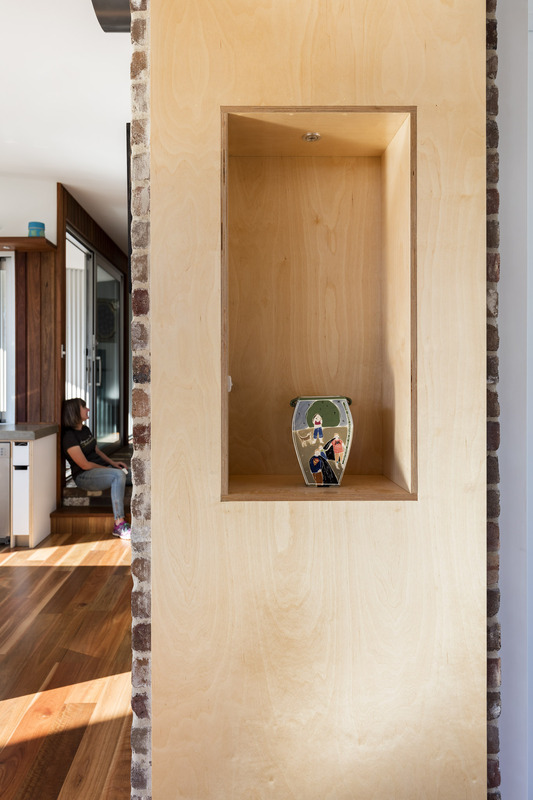 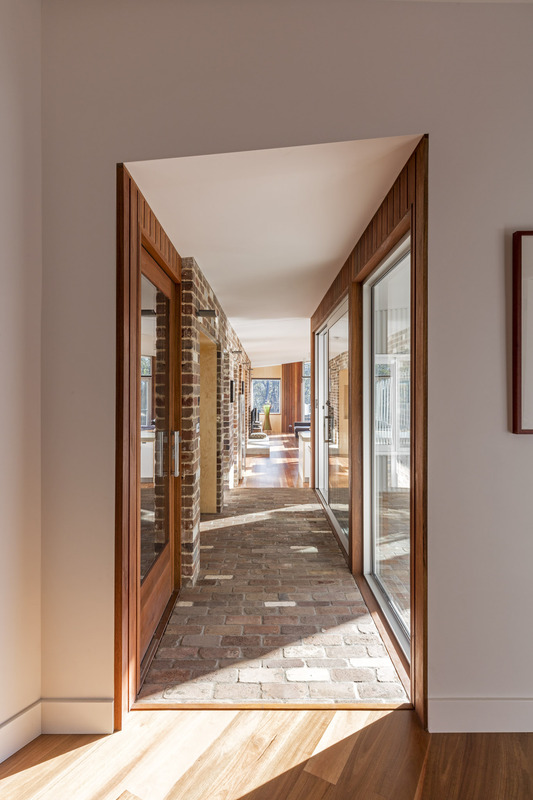 The internal brick wall creates a solid edge, for protection, whilst looking out. 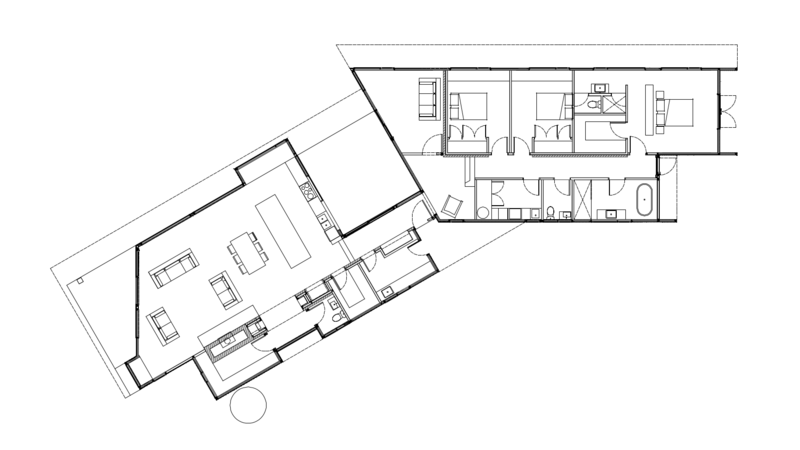 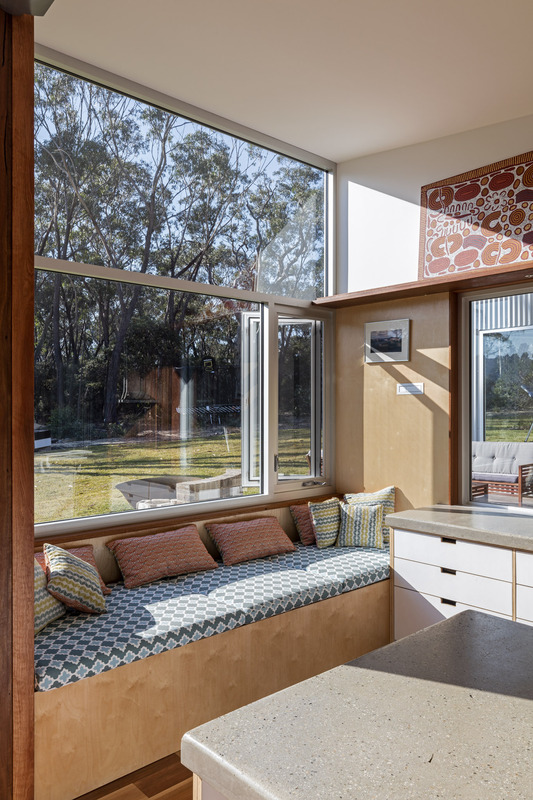 Living areas are separated from the sleeping area by a protected outdoor space. 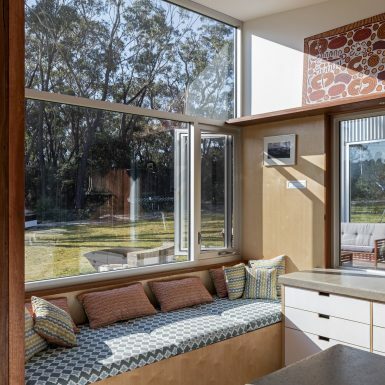 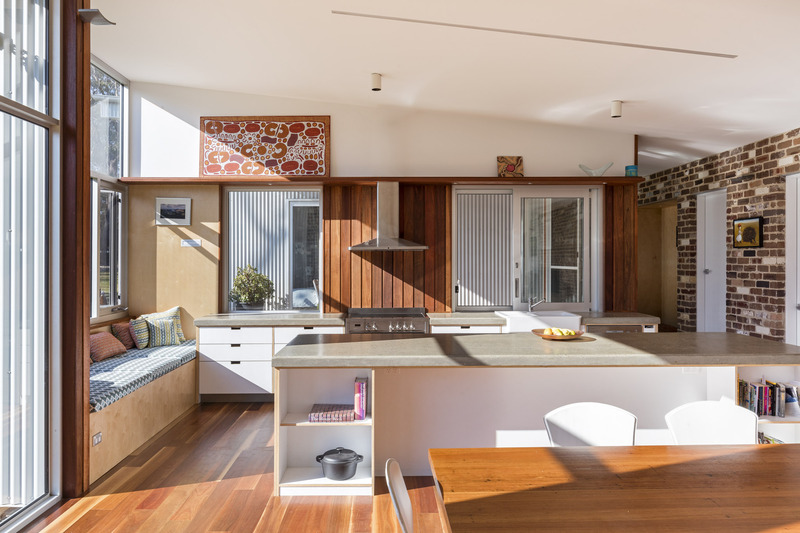 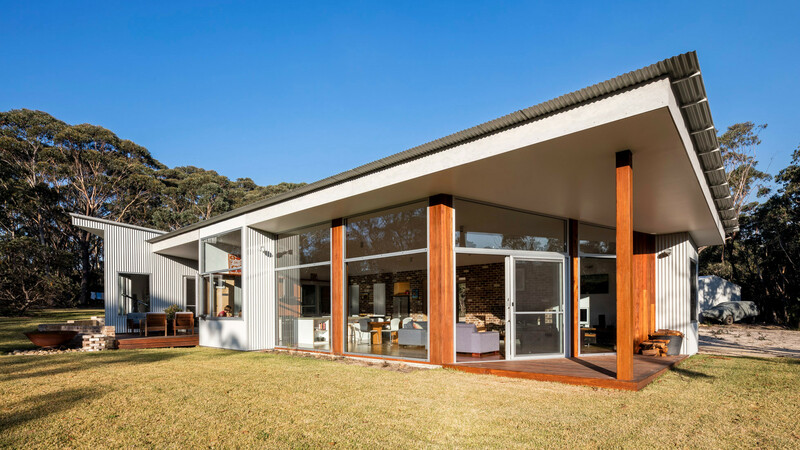 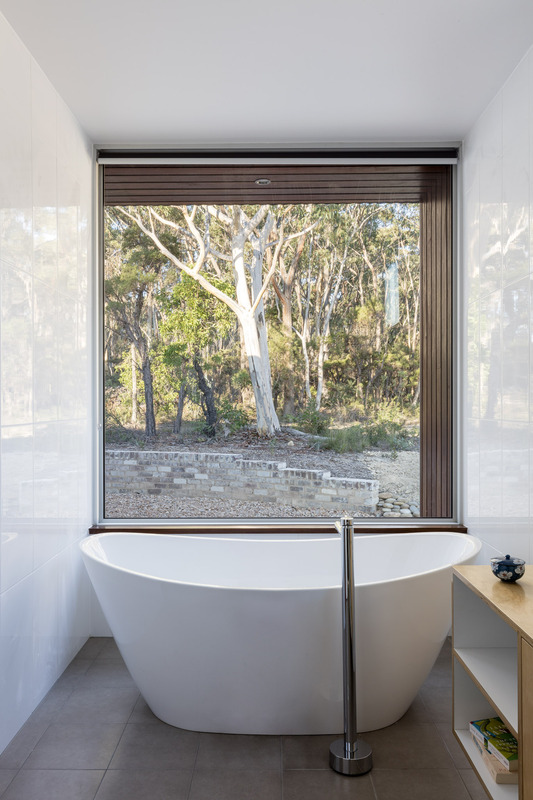 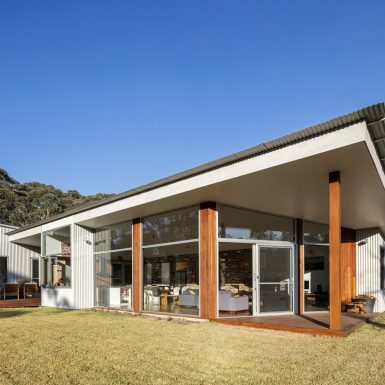 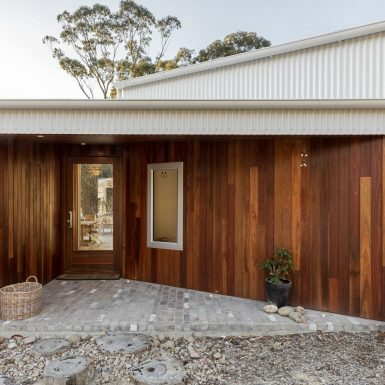 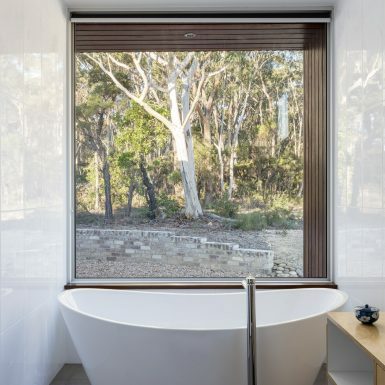 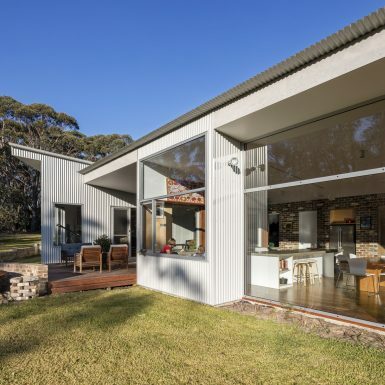 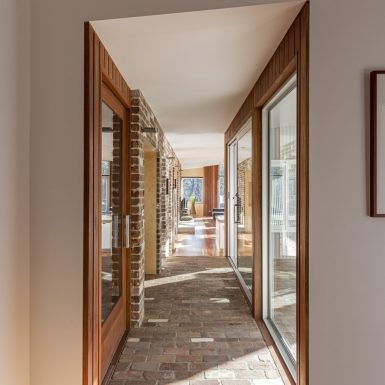 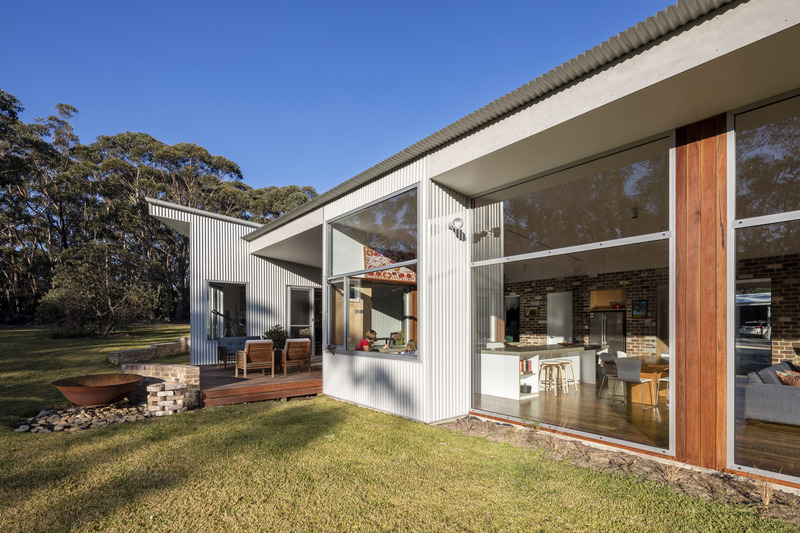 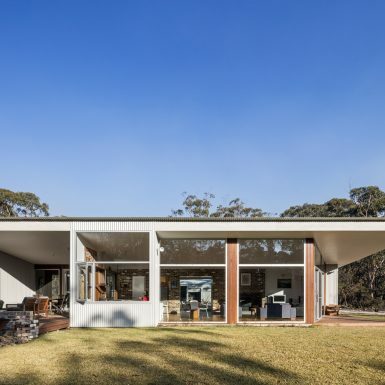 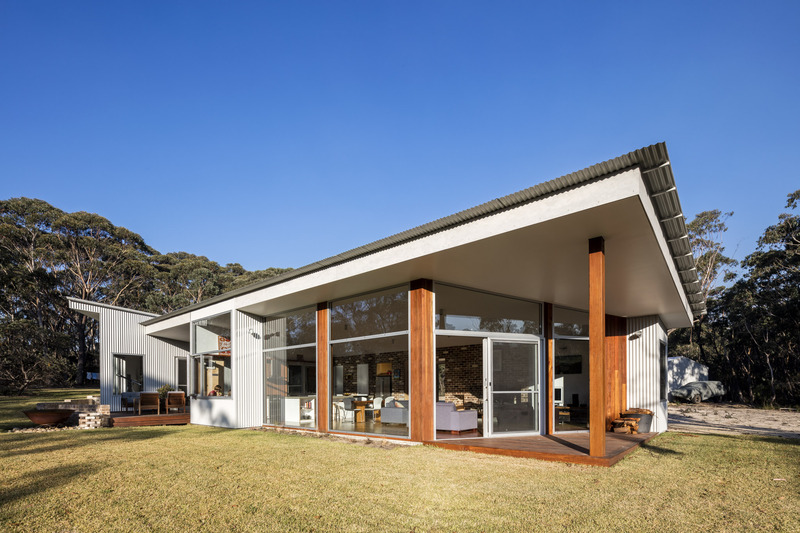 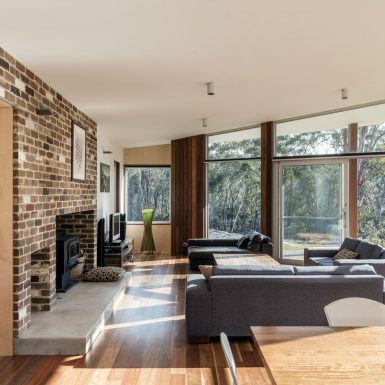 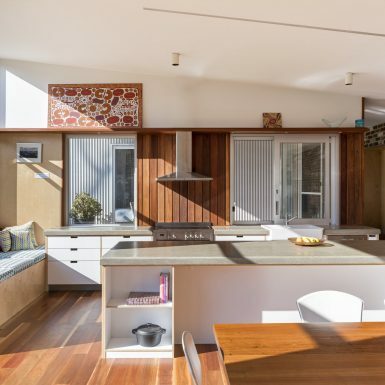 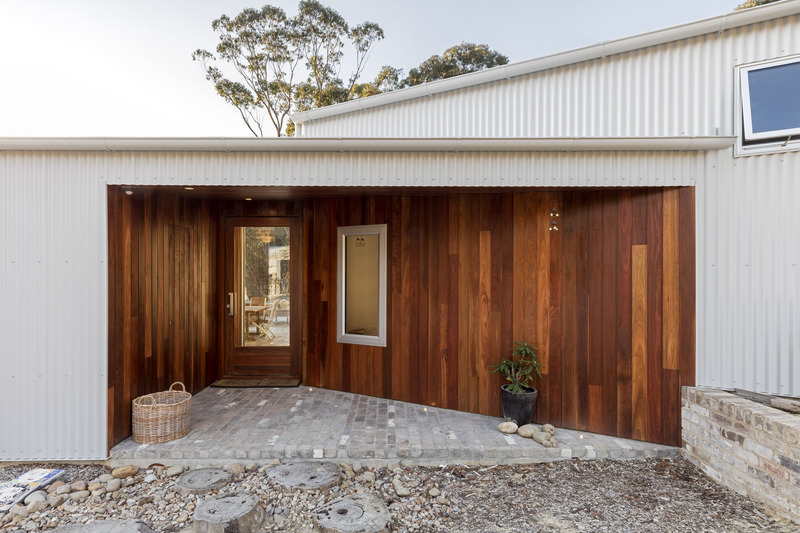 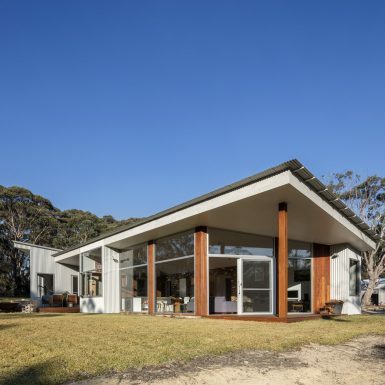 All living rooms and bedrooms enjoy passive solar gain, important during winter in the Blue Mountains. 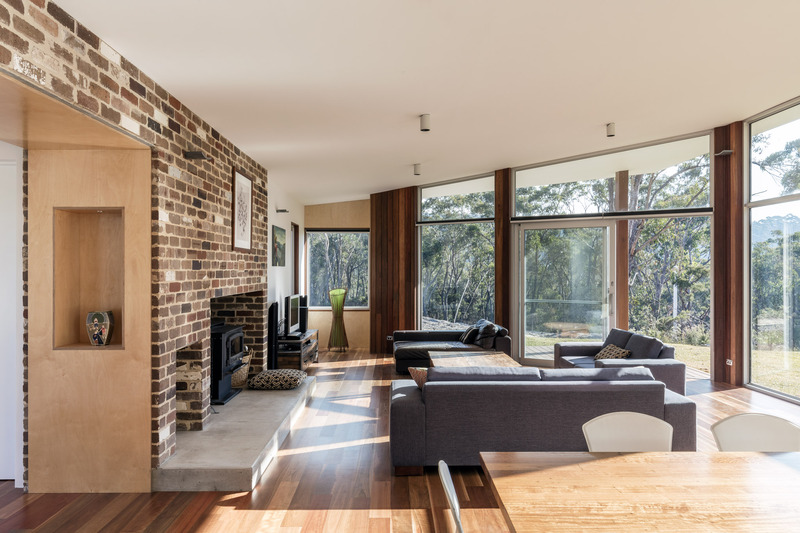 Thermally broken windows and high levels of insulation also contribute to the comfort of this home.